Really a fine, informative interview. 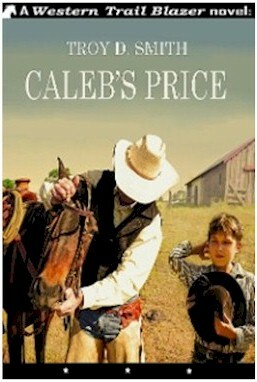 Glad to find another academic at play in the fields of historical research and the western novel. Look forward to reading the book on your dissertation subject. Thanks, amigos! @Chuck- I too did both Japanese and American history in grad school, and they go together a lot better than folks might think. We can't hide or gloss over the bad stuff. Then we are practicing wishful thinking, not history; we also run the risk of being like those old Chinese dynasties who would literally rewrite history with each government change, so that after a few generations no one would know what actually happened. BUT. On the other hand. It's the story of some very noble ideals being applied over time by very imperfect, very human people. And throughout that story, change has come from the bottom up- concerned citizens taking action and working to correct what was wrong. Some of that bad stuff in our history has stayed in the past, others we are still working on, and must continue to do so. At this point I tell them that, no matter what their major, the 2-part US history survey is one of the most important courses they will ever take. Because I predict, at some time in their lives, something in the world around them is going to piss them off and they're going to want to ss it changed- and no matter what it is, or whether they are liberal or conservative, right wing or left -the first step to making a difference is understanding how things got to be the way they are and how things work. I heavily stress looking past what other people, even historians, tell you and looking for ultimate answers to the original, primary source documents. I warn them that some of the things I will say over the course of the semester will challenge them, and force them to think about things they thought they already knew or understood in new ways. I urge them to not even take my word, but read the original documents, something that the internet has helped make possible for everybody. Maybe I will read to them from Columbus's diary, where he tells about meeting the peaceful Taino Indians and reflecting on how easy it will be to enslave them, and of how he cut off the hands and feet of every native who didn't supply him with the required amount of gold. And I will also tell them about the priest Bartolome de las Casas, who led a campaign to stop Spanish cruelty to Indians. Maybe I'll tell them about the Philippine Insurrection, of how it was such a national embarrassment that it was edited out of history textbooks for most of the 20th century until it virtually disappeared from American memory. And I will also tell about how Mark Twain spearheasded a national protest of such US expansionist policies. This is my long winded way of saying that historians have a duty to tell the truth. They should neither condemn America nor paint it in romanticized, rosy hues. As well as be aware that the truth is hard to nail down, and ideologies are hard to sift through or ignore -but that's what makes it hard work. Hard work that ultimately tells us who we are and why, and gives us hints about how to get where we want to go. All that being said- as a western writer and a Japanophile, I'd love to hear your take on comparing and contrasting American Indians and Ainu, and especially the Yayoi invading and supplanting the Jomon with European settlement of North America! I find the parallels fascinating! Wow! I want to see your disseration when it's done. Sounds fascinating (don't be an ABD). 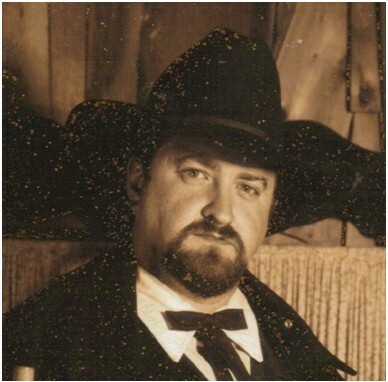 I started writing western novels after retiring from the Univ. Georgia in ecology (do you know my old pal Henri Willard there at Tennessee Tech?). Entirely self-published but enjoying every minute of it. Excellent interview! I'm glad you decided to go back to school, Troy. I look forwad to reading your books. Just a quick comment on your answer to my comment, Troy. I said to a friend who wanted to know if, being as I plan to die and have my ashes scattered on the Pacific from Japanese shores, I was going to become a citizen of Japan. I said: to be an American, all you need is citizenship papers (or the equivalent) to be a Japanese, you must have the blood lines. Yes, I could become a Japanese citizen. No, I could not become a Japanese. Japan is good at rewriting its history. Been done a few times over the centuries. Japan doesn't want to recognize that the Emperor comes from Korean stock. Japan doesn't want to recognize that all of the area hit by the recent earthquake and tsunami was Ainu land in bygone centuries. Japan is not good at recognizing minorities. It also does not want hordes of "refugees" on its shores. It doubled its refugee number (those they let in because they were in extreme danger in their homelands) in 2010 to 13. Japan always looked down on the Ryukyu race (Okinawans) and discrimination during WWII was so intense that many Okinawans moved to Taiwan (where the Japanese discriminated against native Taiwanese). The strange thing is, Japanese to this day do not recognize their discrimination as discrimination. Displacement of the Jomon by the Yayoi? Much akin to the displacement of any group of people by another group. In the US, it was those of European stock displacing those of Asian (over the Bering land bridge?) stock. If you're interested in that part of history (US, that is) you'll be interested in the book 1493. I'm sure the same kinds of movement of people happened throughout the world. The Anglo Saxons vs the Celts, the Franks vs whoever was there before them, the Islamic peoples moving what is now Israel, into Spain, Turkey, etc. Ever has it been so. Wow. A short comment . . .
Chuck- my primary research field is "Race and Ethnicity"... I love Japanese history and culture, as of course I love my own (Southern U.S.)... Nevertheless, I use Japan as evidence that racial hierarchy is not exclusively an American, or English, or white thing. Absolutely. Race superiority may have started with the Chinese, who knows, in Marco Polo's time, at least, they considered themselves leagues above the lowly Europeans. If you read Japanese (?? ), try Motohiko Izawa's series on The Paradox of Japanese History. There are several volumes. If now, you might want to look at Toshihiko Abe's Japan's Hidden Face. It will show you where a lot of Japan's racism came from. How'd we get this far off Westerns?